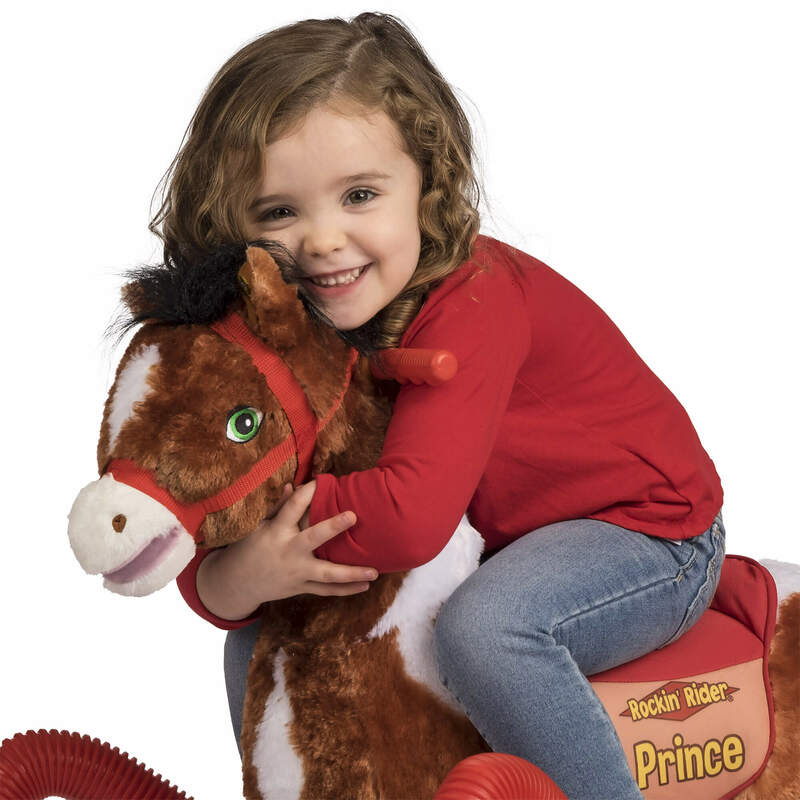 Prince comes to life with four life-like movements and realistic horse pattern! 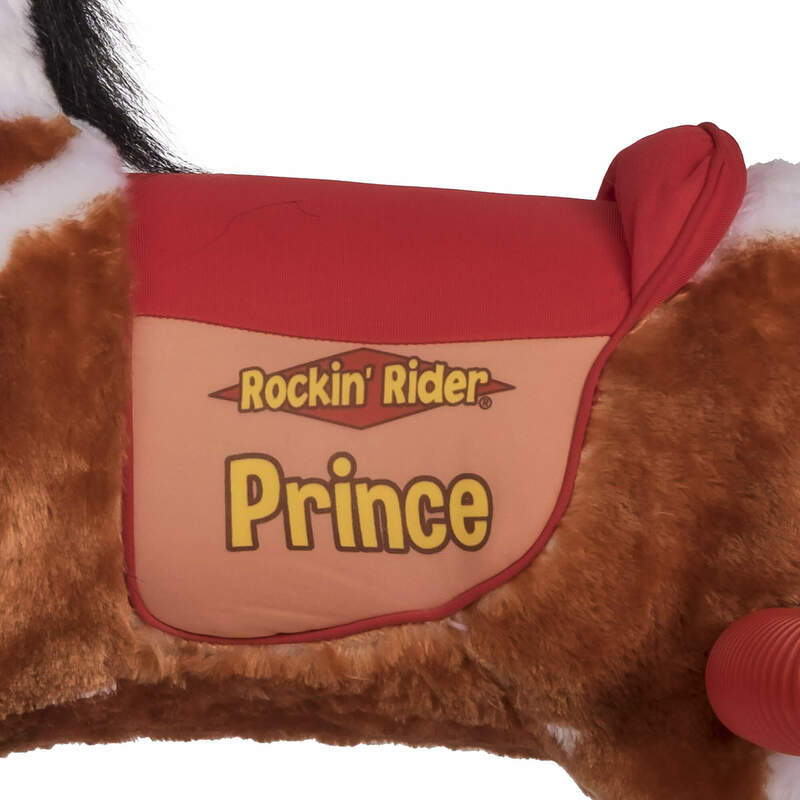 Rockin? 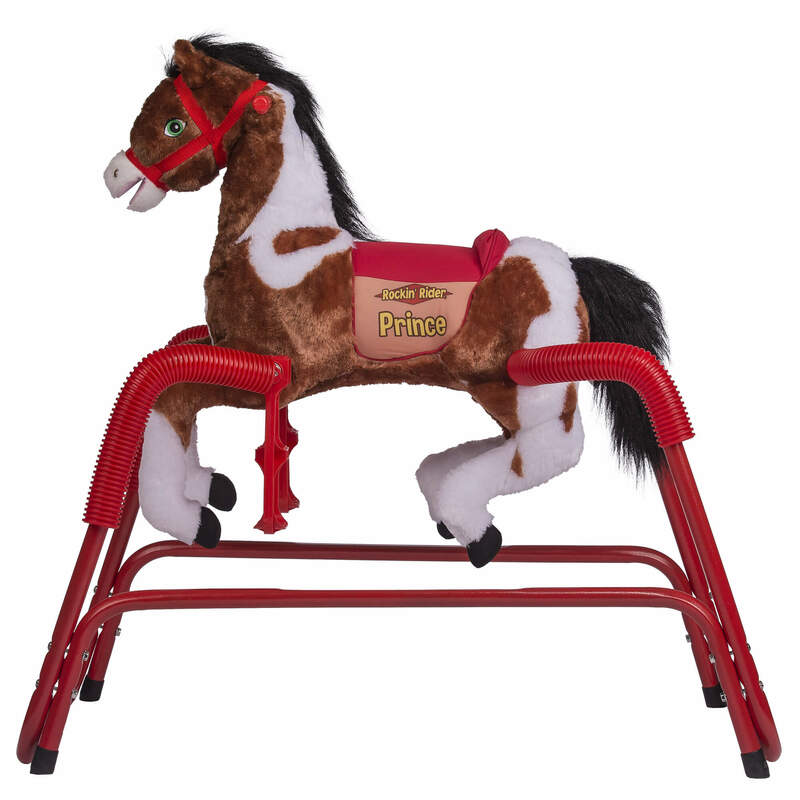 Rider Prince Animated Plush Spring Horse features a realistic horse pattern printed on soft plush for a unique look.? 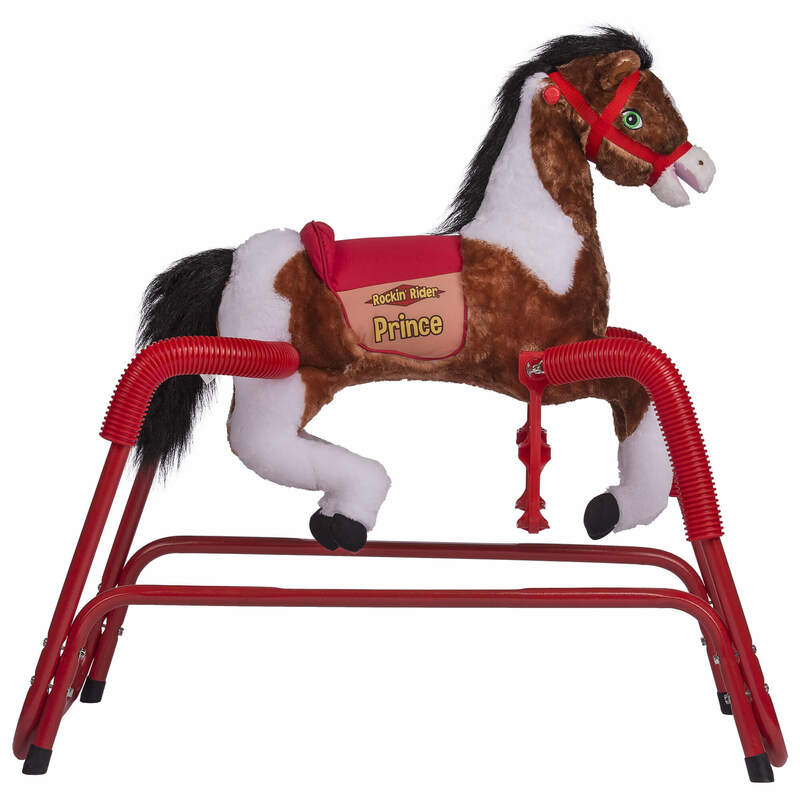 Prince magically comes to life with a synchronized moving mouth, nodding head, wiggling ears, and a swishing tail.? 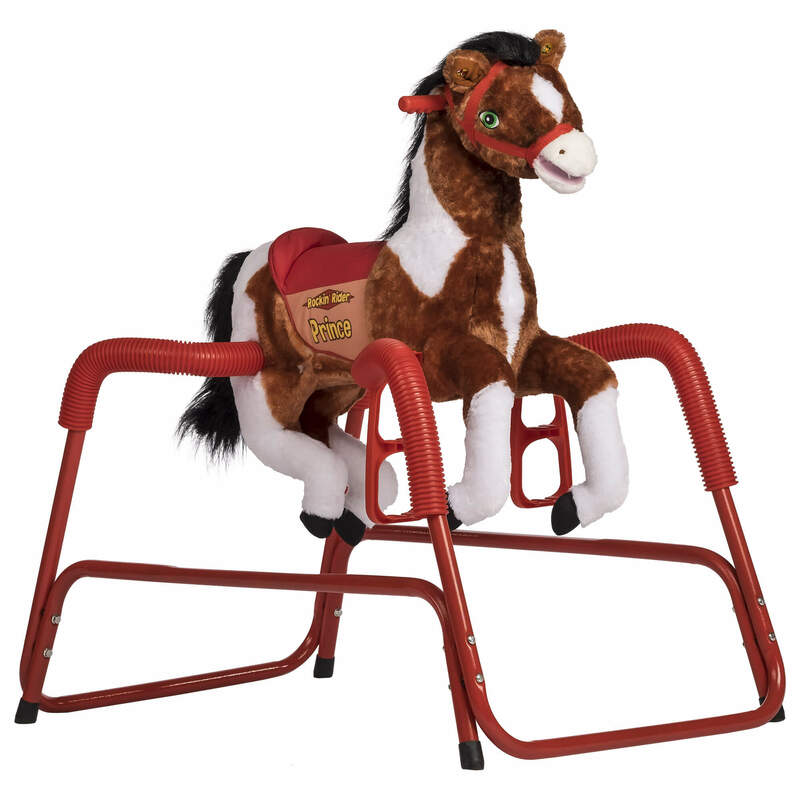 He sings the exclusive ?I?m a Little Pony? 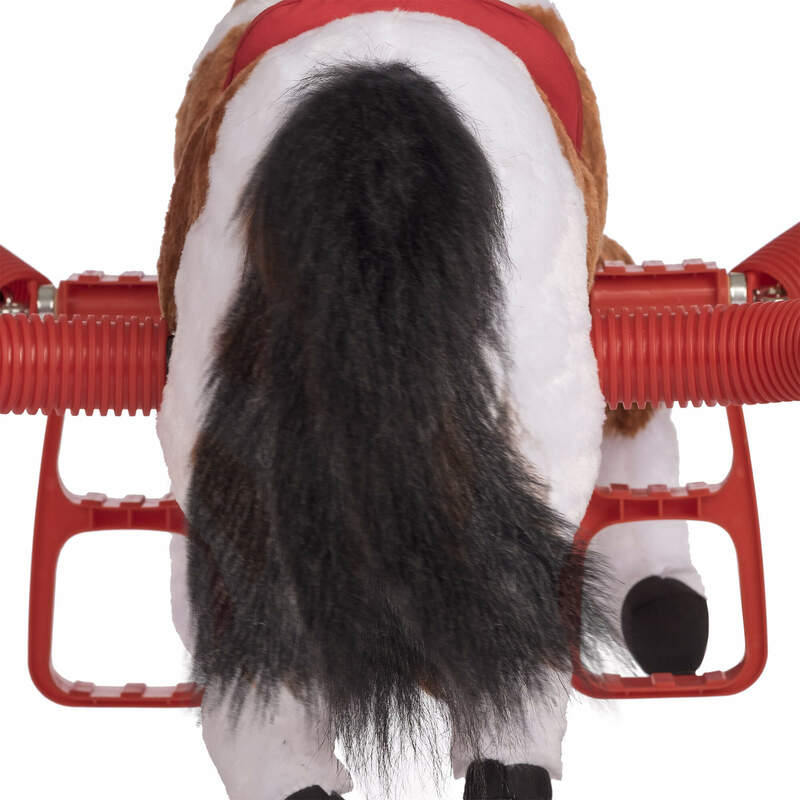 song when his right ear is pressed and says 6 fun talking phrases with sound effects when his left ear is pressed. 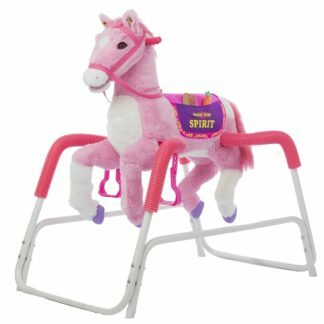 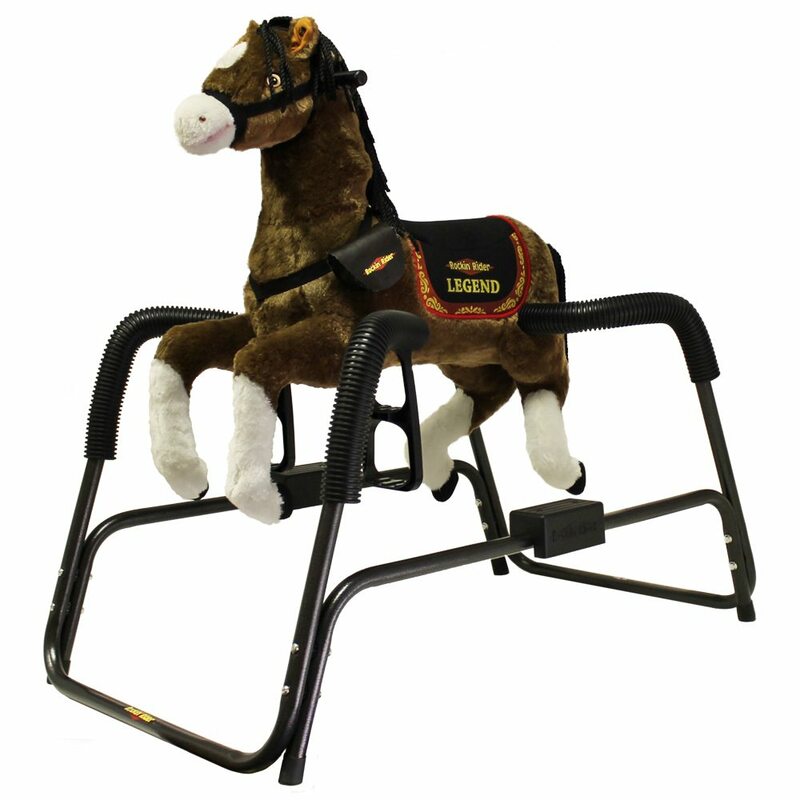 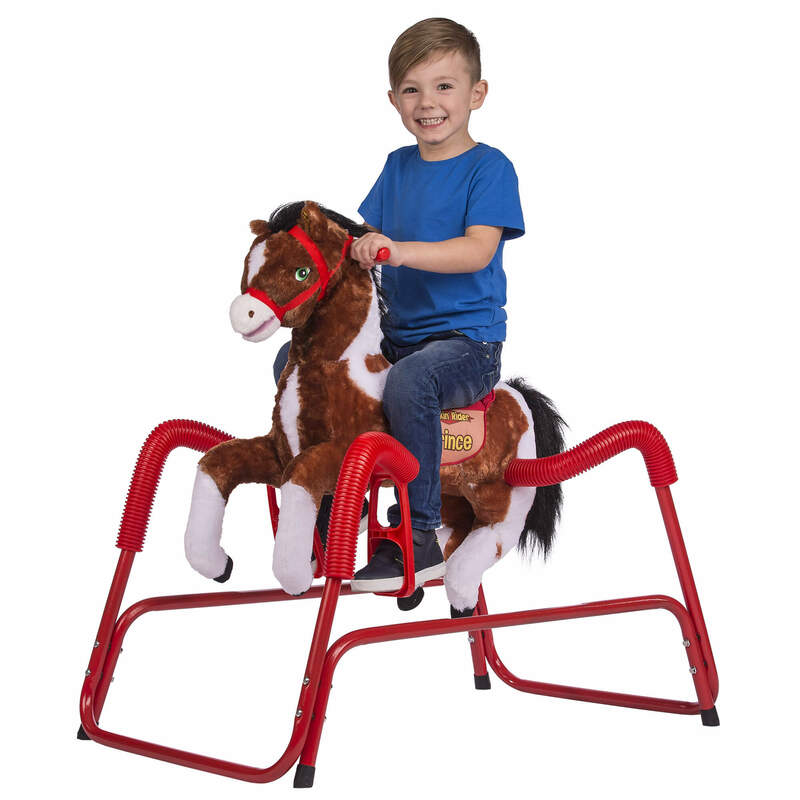 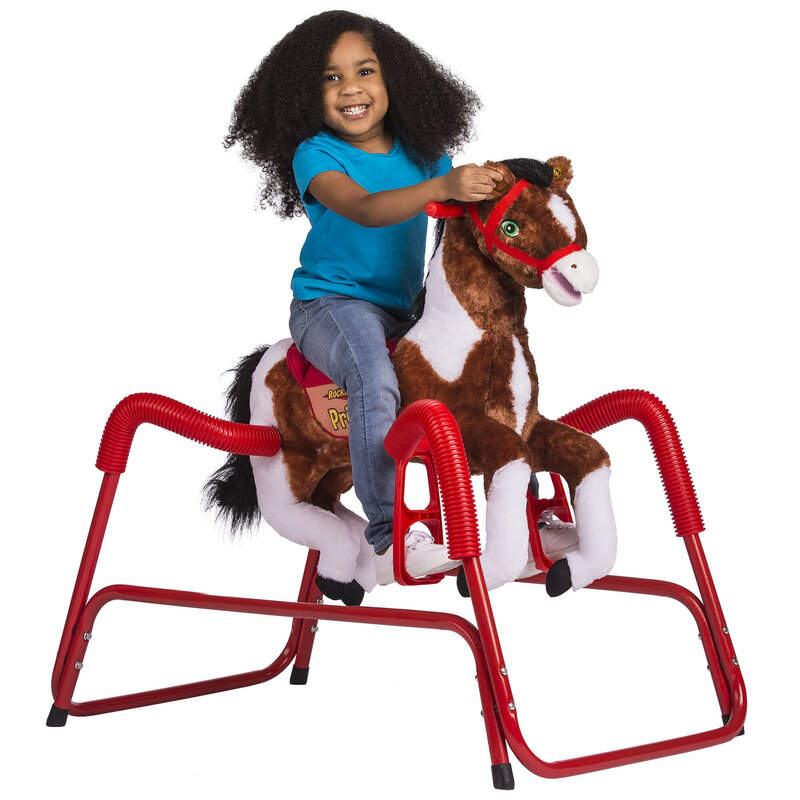 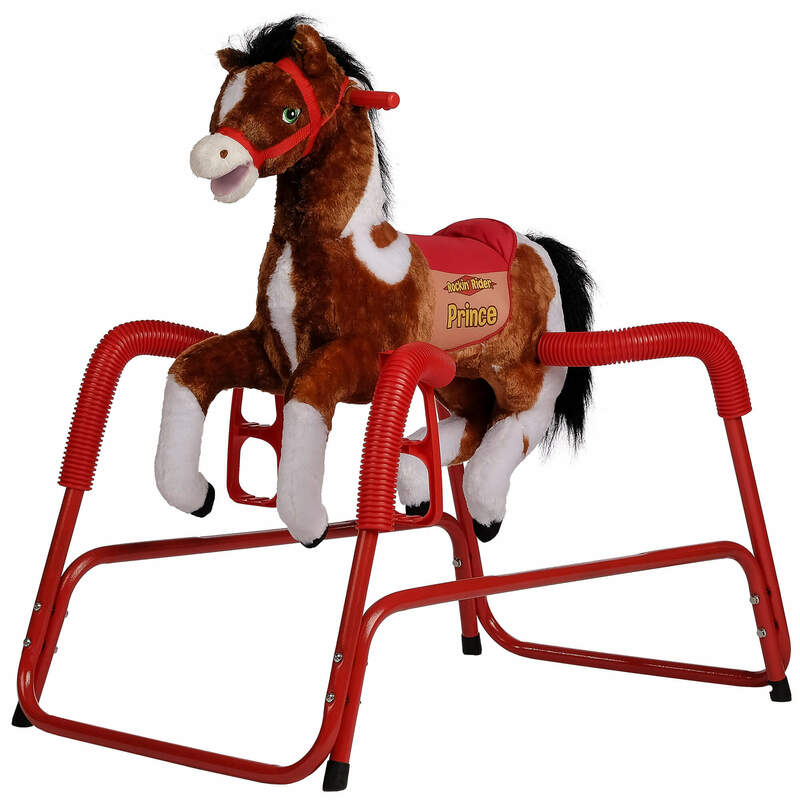 Other features include soft, huggable plush, motion-activated galloping sounds, 3-position stirrups, easy-grip handles, realistic mane and tail, detailed colorful saddle, embroidered eyes, sturdy steel frame, durable spring covers, and volume control.